Two children of slain U.S. Sen. Robert F. Kennedy are disputing the official account of his assassination 50 years ago, prompting renewed debate before the June 5 anniversary. 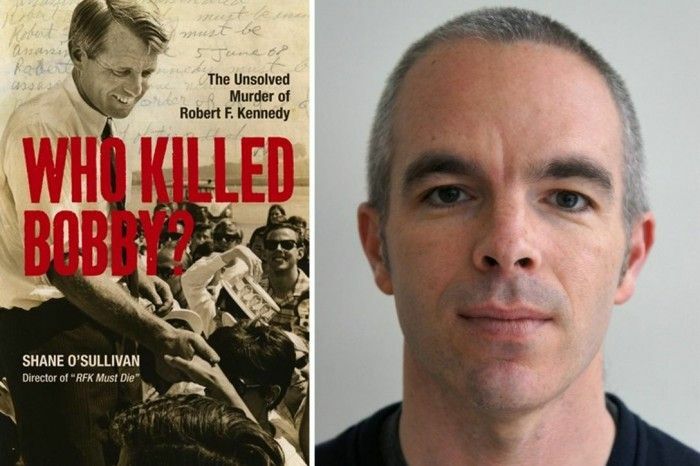 Longtime law professor and environmental activist Robert F. Kennedy Jr. and Washington Post reporter Tom Jackman raised the profile of the long-simmering controversy with Jackman's front-page Sunday story on May 26 entitled, Who killed Bobby Kennedy? His son RFK Jr. doesn’t believe it was Sirhan Sirhan. The son is shown at far right in a portrait (by Gage Skidmore) next to a file photo of his father on the 1968 presidential campaign trail. The late New York senator also is portrayed above at top in file photo taken during his California Democratic primary victory speech minutes before his murder. He was shot in a kitchen pantry after leaving the speaking stage at the Ambassador Hotel in Los Angeles. The younger Kennedy was ready to go public with his views after spending months re-examining the evidence and meeting in prison with Sirhan Sirhan, who was convicted of the murder in a 1969 jury trial in which defense counsel mounted scant defense. “I got to a place where I had to see Sirhan,” Kennedy told Jackman of the defendant, shown at right in a 2016 prison photo. The report of Kennedy's comments and the evidence supporting them represent breakthrough coverage of the case for a mainstream publication — and a challenge to other family members, authorities, opinion leaders and indeed any concerned citizen. The challenge is whether the oft-reported basic facts of such a high-profile assassination could have been so incomplete or suppressed as to lead to a false imprisonment — and an escaped murderer or murderers. That's an assessment provided in an exclusive interview June 4 by Dr. William Pepper, a close friend of the late Senator Kennedy and also the current defense counsel for Sirhan. It took years for Pepper to become convinced that Sirhan was innocent of killing RFK, not just via a legal technicality but as a matter of scientific and other proof. 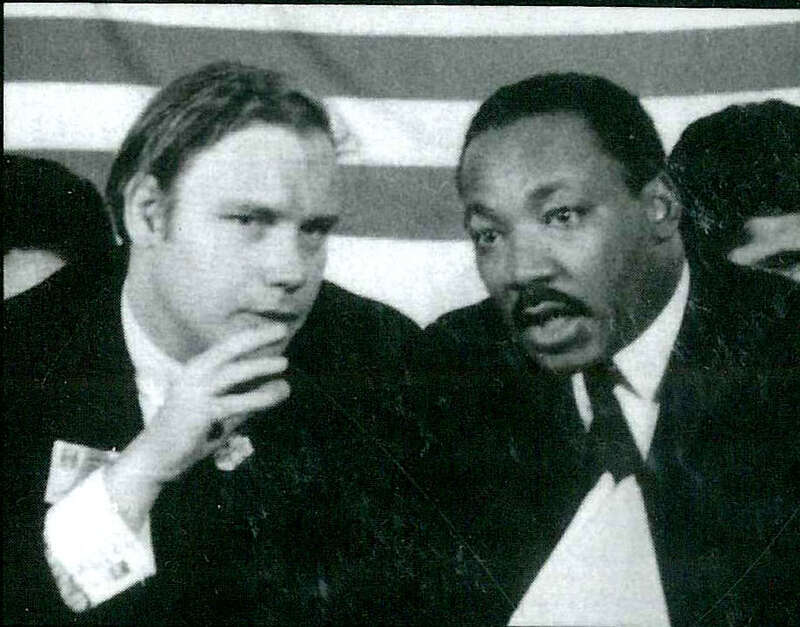 Pepper, shown at right with his friend Dr. Martin Luther King, Jr. (MLK) at a major political conference in 1967, was a journalist and activist who last year summarized RFK evidence in a pending petition to the Inter-American Commission on Human Rights, a unit of the Organization of American States (IACHR/OAS), seeking what Pepper calls the first evidentiary hearing ever in the Sirhan murder case. He regards Jackman's reporting as extraordinary, much like the Washington Post's willingness to print it, as well as a breakthrough story by Jackman on March 30, Who killed Martin Luther King Jr.? His family believes James Earl Ray was framed. Jackman, a Post reporter covering courts and crime since 1998, quoted prominent members of MLK's family as saying they did not believe that his convicted killer James Earl Ray really killed the civil rights leader in April 1968 in Memphis. "More than any other mainstream media journalist," Pepper told me regarding RFK's murder, "Tom Jackman has gone in-depth into the evidence of the case related to Sirhan's alleged guilt and has very clearly shown that evidence was withheld and that Sirhan was selected as a victim of CIA MK Ultra mind control efforts to be set up as a patsy through the use of hypnosis and chemicals. His role was to perform a distraction so that the real assassin could do his work and put three bullets into RFK's body at much closer range while Sirhan was always three to five feet in from of the senator." Update: Jackman and author/ filmmaker / professor Dr. Shane O'Sullivan have provided powerful reporting bolstering the hypnosis explanation in new, in-depth articles quoting experts, including Harvard Medical School Professor Dr. Daniel P. Brown (shown at right), an expert in forensic psychiatry and hypnosis. He extensively interviewed Sirhan and studied also what is known about the CIA's MK Ultra program. Their new articles are: The assassination of Bobby Kennedy: Was Sirhan Sirhan hypnotized to be the fall guy? by Jackman on June 4 in the Washington Post and Was Sirhan Hypnotically Programmed to Assassinate RFK? by O’Sullivan on June 5 in the investigative online site WhoWhatWhy. 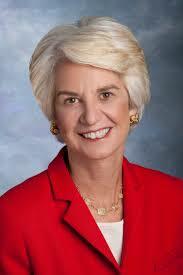 The WhoWhatWhy report contains a 67-minute video featuring interviews with Brown and Sirhan's attorney Laurie Dusek. Despite filming six hours of interviews, Brown was spiked from the recent Netflix documentary Bobby Kennedy For President. Conventional wisdom is that reporters, editors and their news outlets always seek to publish verifiable information challenging the power structure, especially for suspected misconduct in something like a high-profile murder case, which the assassination of a Kennedy running for president surely was, by any standard. The track record on truly sensitive topics is less than impressive, however, as indicated by the Netflix decisioni among many others, especially if new reporting undermines decades of previous coverage and powerful institutional relationships, as we reported on May 29 in our most recent column here, Rights Pioneer's Obit Prompts Disputes Over JFK Murder Half-Truths. Our column began: "The Washington Post's obituary last week of a pioneering African-American lawyer continued the newspaper's controversial coverage of the 1963 assassination of President John F. Kennedy and the 1964 murder of JFK's friend and purported lover Mary Pinchot Meyer." Regarding the RFK coverage, the Post's most recent big stories were quite varied in their assumptions. The gist of Jackman's in-depth pieces on May 26 and June 4 contrasted sharply with a Post Sunday Magazine story a week later, What is it like to be the brother of Robert Kennedy’s assassin? The life of the other Sirhan. For the magazine piece, Los Angeles-based freelance author Peter Gilstrap accepted Sirhan's guilt with scant attempt to explore the possibility of his innocence. The discrepancy doubtless occurred in part because of the long lead time for magazine articles, which are generated separately from the Post's news staff. Nonetheless, the supposedly in-depth treatment that a magazine is supposed to provide managed to miss much of the gist of four decades of investigative revelations. The Washington Post published in its news section on the same day, June 3, another major treatment, headlined Robert F. Kennedy’s final flight: The storied journey of the ride from California to New York. Authored by freelance legal expert David Margolick, it avoided the issue of murder guilt and focused instead on the mournful yet intriguing airplane flight in which the three widows of 1960s murdered ikons JFK, MLK and RFK accompanied RFK's corpse from Los Angeles to Washington, DC. On June 5, Post editorial board member and op-ed columnist Charles Lane dismissed any new evidence or calls for a new investigation as crackpot ideas unworthy of discussion except (apparently) to insult those proposing them. The Boston Globe, New England's largest circulation newspaper, followed up Jackman's May 26 scoops in the Post by reporting on May 31 that the late senator's oldest child, former Maryland Lt. Gov. Kathleen Kennedy Townsend (shown at left), has been persuaded by her brother Robert Jr.'s analysis to join him in seeking a new investigation of the murder. But the Globe story, RFK's children divided over calls for a fresh investigation of his assassination by Michael Levenson on May 31, 2018, also reported that other children of the slain senator said that they opposed a re-investigation. Levenson reported that this opposition underscores "how divisive the second-gunman theory continues to be, a half-century after the presidential candidate, former attorney general, and senator from New York, was killed in the pantry of the Ambassador Hotel in Los Angeles." Those children objecting to a new investigation were former Massachusetts Congressman Joseph P. Kennedy II (shown at right), documentary filmmaker Rory Kennedy (the late senator's youngest child, who declined comment to the Globe but voiced opposition to the Post), and Kerry Kennedy, who is president of a human rights organization named for her father. The irony is striking. The head of Robert F. Kennedy Human Rights opposes a new investigation into alleged human rights violations that allegedly protected his murderer. This dispute about evidence will surprise and shock many. Most people have thought from initial news reports to the present that they knew what happened: Sirhan hated Kennedy, acted alone to kill him, and was convicted after a fair trial. Any doubts about such a consensus casts doubt on enormously important and influential American institutions and leaders, past and present. Sirhan, shown in custody, was promptly arrested at the scene after repeatedly firing a .22 caliber handgun at Kennedy after the senator finished a victory speech for the 1968 Democratic presidential primary. Kennedy supporters, including famed athletes Roosevelt Greer and Rafer Johnson, were filmed confronting the slightly built Sirhan shortly after the shooting, which was not itself captured on film according to any public evidence. Kennedy was shot four times. Four bystanders, including Kennedy's close friend and campaign aide Paul Schrade, received non-fatal wounds..
A jury then convicted Sirhan early the next year after his ineffective defense conceded guilt in the shooting and failed to introduce key ballistic evidence or another compelling basis for mercy. Sirhan, a Palestinian born to a Christian family displaced by the creation of Israel in 1948, asserted that he could not remember details of the incident even though his diary written before the shooting contained in his hand-writing the words repeated many times "RFK must die." When murdered, Kennedy was well-positioned to win the Democratic Party nomination. 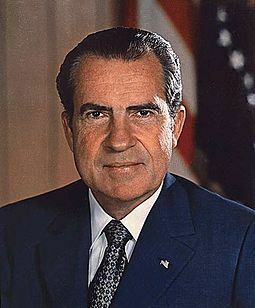 He stood an excellent chance also to use an anti-war and traditional pro labor platform to defeat the Republican nominee Richard Nixon (shown at right as president) in the fall elections. Instead, RFK was last of the three major 1960s progressive leaders to be assassinated by alleged lone gunman following the murders of his brother John F. Kennedy (JFK) in 1963 and that of the Rev. Martin Luther King Jr. (MLK) in April 1968. Our column today summarizes the RFK evidence, controversies and news coverage -- and predicts several major developments occurring this coming week that are timed for the murder's anniversary. As background, this editor has published an online "Readers Guide to the RFK Assassination" assembling major books, films, events and archives representing all major interpretations of the crime and last month moderated the RFK assassination panel at Of Kennedys and Kings: Investigating the RFK and MLK Assassinations at 50, a major conference on May 3 and 4 at the 17th annual Forensic Science and Law Symposium sponsored by the Cyril H. Wecht Institute at Duquesne University in Pittsburgh. Paul Schrade, shown campaigning in 1968 with his close friend Robert Kennedy, was a high-ranking executive with United Auto Workers and also RFK's top labor adviser in a race where the Democrat showed the promise of uniting his late brother's victorious 1960 coalition with new strength from the anti-war, student and civil rights movements. Then Schrade, standing slightly behind Kennedy in the Ambassador Hotel's kitchen pantry following Kennedy's victory speech, was shot in the head by Sirhan during the attack, as shown by the photo at left. At the Duquesne University conference last month, Schrade, 93, told the audience by remote video that he never doubted official accounts that Sirhan had acted alone until fellow liberal activist and Kennedy friend Allard Lowenstein warned him in the early 1970s that the evidence raised disturbing questions. Schrade's evolution from Sirhan victim to all-out defender of Sirhan's innocence is one of the dramatic subplots of this story. Schrade begged California's Board of Parole to grant Sirhan parole on the basis of new evidence, which he and others argued includes a audio tape made by Polish-born Canadian reporter Stanislaw "Stas" Pruszinski showing sounds of 13 shots, five more than the capacity of Sirhan's gun. 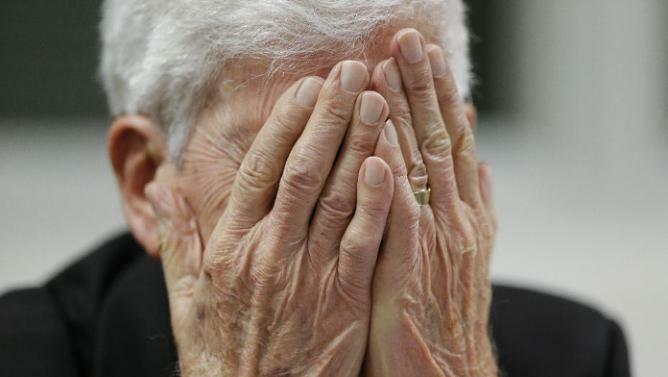 Schrade is shown also in an Associated Press pool photo after he learned in 2016 that California's Board of Parole had rejected with scant explanation Sirhan's latest request for parole, the 15th time Sirhan has been denied. 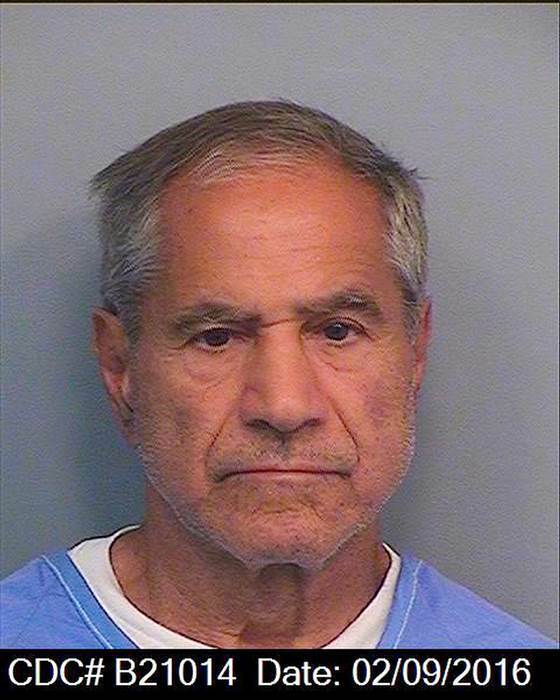 Sirhan's advocates say that he is caught in a Catch-22: He cannot remember details of his actions before the assassination (and has extensive psychological testing to prove it) and so he cannot reliably show remorse to the parole board except to say that he is sorry that RFK died. 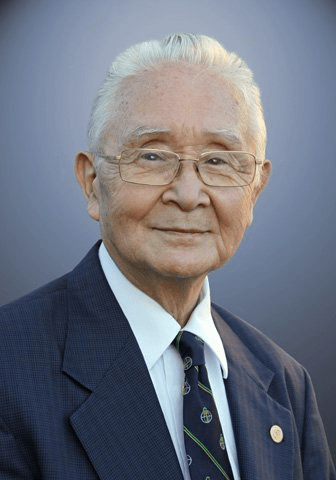 Dr. Thomas T. Noguchi is a board-certified forensic pathologist and was the chief medical examiner / coroner for the country of Los Angeles for many years. 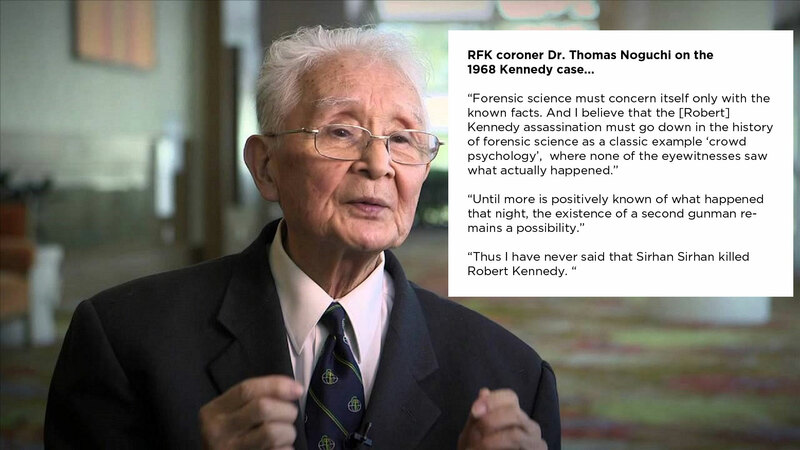 He performed the autopsy on Sen. Kennedy in 1968 and found that the victim was hit by four shots, with one passing harmlessly through clothing, Three others hit the senator from the rear, with the fatal bullet fired just an inch or so from the rear of the head. 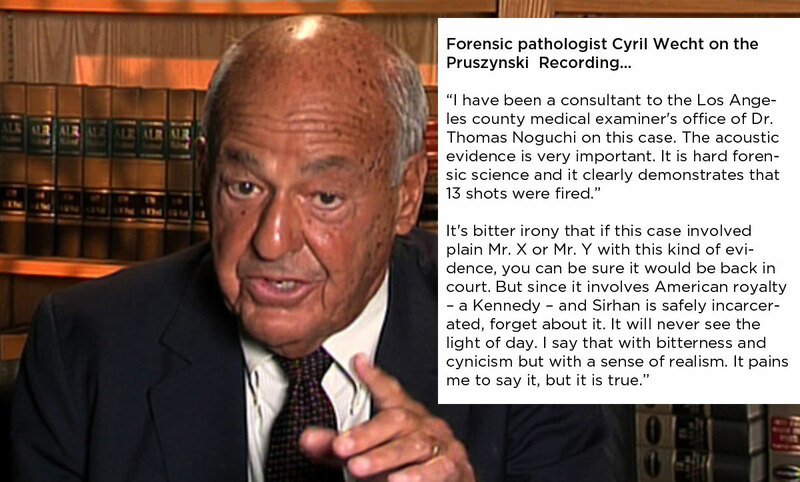 Noguchi asked his friend and colleague Dr. Cyril H. Wecht of Pittsburgh to assist on the autopsy. Regarding the RFK case, audience members like Tom Jackman of the Washington Post observed that Noguchi was firm in his belief that RFK was shot from the rear. In 1969, however, Sirhan's defense did not enter Noguchi's report into evidence at trial even though the hotel's deputy maitre d' had stood between RFK and Sirhan and was among those witnesses saying Sirhan was always to the front of the senator. The Pruszynski recording was another much-discussed evidentiary matter never raised at trial. Audio engineer Philip Van Praag told conference attendees that Pruszynski had inadvertently recorded the shooting in the pantry. A Canadian resident at the time, he allowed that country's authorities to make a duplicate, which led to a copy found in 2004 in a California state archive. Van Praag is among those who have studied it and concluded in An Open and Shut Case, a book that Van Praag co-authored, that the recording provides evidence of 13 shots. 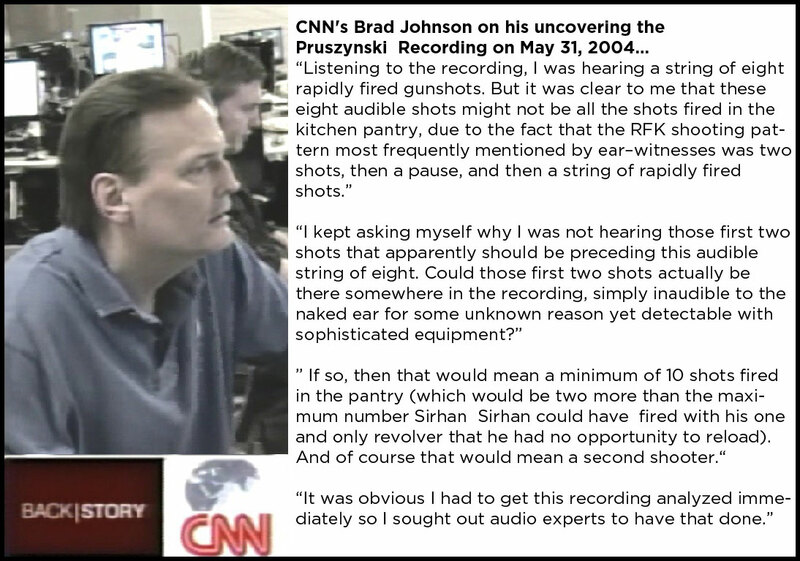 Former CNN producer Brad Johnson also has studied the recording extensively. He used it as a basis for attacking the prosecution of Sirhan for murder, as indicated by the series of graphics that Johnson helped design in cooperation with the Justice Integrity Project to illustrate this and other articles. 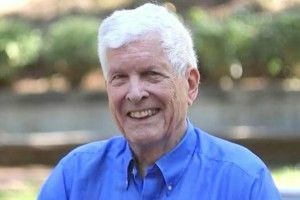 Johnson could not attend last month's Wecht conference in Pittsburgh but his views were represented by Tim Tate, Johnson's co-author on a new book to be published on June 6, The Assassination of Robert F.Kennedy: Crime, Conspiracy and Cover-up. Tate told the audience that he and Johnson have each worked intermittently for a quarter of a century on the case interspersed with their other projects as journalists, authors and broadcasters. Tate's 1992 documentary investigation of the RFK assassination for Channel 4 and Arts & Entertainment was regarded as the first TV documentary to broadcast clear evidence of a second gunman in the killing. Tate, who has won multiple awards as a documentary filmmaker, investigative journalist and best-selling author, apologized for not being able to reveal their book's major finding in advance of excerpts scheduled for publication on June 5 by the Daily Mail Online. But he said they would be substantial. One topic reportedly relates to the enduring mystery of "the girl in the polka dot dress" who was seen with Sirhan before the shooting. Kennedy campaign worker Sandra Serrano told me and authorities that after the shooting she heard the mysterious woman shouting "We shot him! We shot him!" Asked the identity of the shooting victim, the fleeing woman replied "Kennedy" Serrano said before being pressure by authorities to revise her comments. Although most of the RFK lectures pertained to ballistics, audio or other scientific evidence several speakers discussed possible motives for those involved, including potential conspirators, authorities and media. Thus, author and podcast host William Klaber described evidence of extensive intelligence involvement, including via Manuel Pena, the Los Angeles Police Department's chief investigator for the RFK murder. 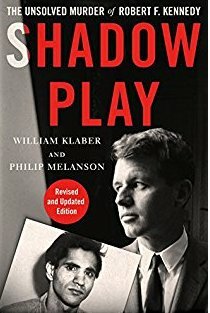 In 1997, Klaber had co-authored with Dr. Philip Melanson the 1997 book Shadow Play: Robert F. Kennedy, The Trial of Sirhan Sirhan and the Failure of American Justice. Skyhorse Publishing reissued an updated version this spring. Klaber described how he interviewed Pena, who told him that police investigators were justified in pressuring Serrano to revise her story about a woman in a polka dot dress. Klaber described Pena as having ties to the federal intelligence community suggesting agendas far beyond Los Angeles police work. Also, he quoted Pena as describing Serrano in hostile racial and female-bashing terms, suggesting to Klaber that the police supervisor was far from the neutral evidence-seeker that he purported to be. After a welcome by a Duquesne administrator the program began with an overview Dr. Shane O'Sullivan (shown at right), author of a 2008 book Who Killed Bobby? reissued this spring by Skyhorse Publishing. A lecturer in filmmaking at the Kingston School of Art in London, O'Sullivan's three feature-length documentaries to date explore contemporary history. They include RFK Must Die (2008) and Killing Oswald (2013). O'Sullivan surveyed the history of the case, including several remarkable pressures secretly affecting key players at Sirhan's 1969 trial and their ability to perform their ostensible functions either then or later. He touched on these matters described more fully in the 536-page Who Killed Bobby? 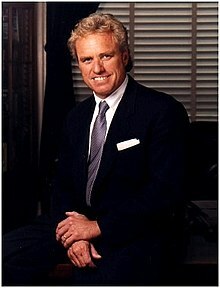 For example, Sirhan's defense attorney Grant Cooper, unbeknownst to his client or the public, was under heavy prosecution pressure from federal authorities for allegedly swiping grand jury transcripts from a prosecutor's table at an unrelated case involving Los Angeles mob boss Johnny Rosselli. Cooper was charged with contempt of court. O'Sullivan said some believe the pending charge and reduction to a misdemeanor had been an implied reward for Cooper's mounting a feeble defense for Sirhan. Sirhan conceded guilt in killing RFK but asked for mercy on the basis of diminished capacity, including failure to remember key details of the crime. Jurors were unsympathetic to what seemed at the time a preposterous excuse. But that was before 1970s revelations of a CIA "MK Ultra" program of mind-control and Sirhan's contacts, habits and proclivities (including his hobby of self-hypnosis) congruent with that type of control, perhaps including a post-hyponotic trigger by the attractive "girl in the polka dot dress." Separately, the Los Angeles Medical Examiner, Dr. Thomas Noguchi (right), was undergoing intense pressure at his office for ostensibly unrelated matters and was fired shortly after his testimony in the Sirhan trial. Remarkably in hindsight, Sirhan's defense attorney Cooper did not pressure Noguchi to describe the inconsistency of his finding that Sirhan was killed from the rear and the testimony of witnesses that Sirhan was always between two and five feet in front of the victim. Under litigation, Los Angeles later reinstated Nogochi, who served full-time until 1982 in his post as chief medical examiner and until 1999 part-time while he acquired the sardonic nickname "Coroner to the Stars" for work that included reports on Marilyn Monroe and Natalie Wood. Also, he served as a medical school professor and president of the National Association of Medical Examiners. O'Sullivan noted also examples of vital evidence that police failed to gather, otherwise ignored, suppressed or mischaracterized. For example, he said that police failed to quarantine the murder site and closely examine witnesses for the possibility that a second shooter existed. Much attention through the years has focused on a private hotel security guard, Thane Eugene Cesar, who accompanied Kennedy and said he raised his gun during the fracas. O'Sullivan said police never examined that gun. Since then some commentators have argued that Cesar, who lives in the Philippines, is a likely suspect whereas he and author Dan Moldea have insisted that he is innocent of a crime Sirhan committed. As other examples of missing evidence, O'Sullivan noted that Los Angeles authorities dismissed newspaper reporter Fernando Faure's detailed evidence of the activities of the "polka dot dress" woman on the day of the murder, as well as other evidence that Sirhan had been accompanied during part of his evening before the shooting. In another strange occurrence, Los Angeles police promptly removed after the shooting parts of the pantry reputed to contain bullet holes. O'Sullivan quoted FBI special agent William Bailey, who investigated the crime scene. Bailey retired from the FBI and became an assistant professor of police science at Gloucester Community College. By 1976, Bailey had concluded that the pantry bullet holes he had seen and that were then disappeared discredited the lone gunman theory of the case. "I've serious reservations whether or not any of Bobby's wounds were inflicted by Sirhan's gun," O'Sullivan quoted Bailey as telling an interviewer. "I, at this point, feel that there probably was a second gun there and that it was fired." Helping to launch and end the day was the world-famous Cyril Wecht, founder of the Wecht Institute and prolific consultant, author, public speaker and civic activist. A lawyer as well as a medical doctor whose practice includes more than 500 autopsies a year, he cited the importance of scientific evidence in reaching just conclusions in complex cases. The day's featured lunchtime presentation was Wecht's dialog with John Cureton, a longtime real estate developer, rancher and lawyer who, from 1954 to 1970, served as the personal attorney of H.L. Hunt, a Texas oil tycoon and conservtive Republican political activist who was reputed upon his death in 1974 to have the highest net worth of anyone in the world. Cureton, 93, described Hunt's intense interest Robert Kennedy and Martin Luther King activities and his direction of Cureton to assist in outreach to people and places now seemingly suspicous. Details are beyond the scope of this column. But their potential import can be measured by a poll of the five experts, including Wecht on my RFK panel wrapping up a day of compelling revelations. Three of the five RFK panelists assessed Cureton's remarks as the day's most interesting and important. Tom Jackman was the only news reporter attending the iconic Wecht Institute conference summarized above. His reporting doubtless drew on the science but he relied on original reporting for his breakthrough story published on the Sunday front page of the May 26 Washington Post. Thus the summary immediately above stands as the first and so far only report on the forensic conference regarding the deaths of RFK and MLK. That status reflects difference that just one good reporter can make when earning the confidence of a news organization. It underscores also the timidity and lack of initiative of much of the rest of the mainstream media on these important stories, as well as underfunding and lack of capable follow up of much of the alternative media. This section of our column examines those themes by noting other recent coverage of the RFK assassination. As noted above, the Boston Globe responded to the Post with a column reporting the reaction of the RFK children to the concept of a new investigation. The Globe also assigned a youthful political writer to re-report the case, in effect. The result was Bobby Kennedy’s son thinks he was killed by a second shooter. Is there anything to it? by Nik DeCosta-Klipa, with the sub-headline Another alternative Kennedy assassination theory? Ostensibly a news report, the writer adopted a scoffing tone toward critics of the official story and relied heavily on the 1995 book of Dan Moldea, The Killing of Robert F. Kennedy: An Investigation of Motive, Means and Opportunity. Moldea, a Washington friend of this editor and a longtime investigative reporter who has focused heavily on law enforcement and Mafia corruption for decades, won a book contract from W. W. Norton in the early 1990s for his proposal to re-research the official story of RFK's death with a view that it was fatally flawed. But towards the end of Moldea's research he met Sirhan in a prison interview and became reoriented the project towards the conclusion that Sirhan was a guilty liar. Regardless of the merits of that proof or argument, the Boston's Globe's heavy reliance on one such author of a 1995 book to undermine original reporting by the Washington Post's Jackman suggests (at least to me) a lack of initiative at best. An appendix below shows other recent coverage of the RFK murder along with such background materials as a list of new books on the topic and the Justice Integrity Project's "Readers Guide to the RFK Assassination." Our understanding is that Jackman has been researching a forthcoming article on the kind of hypnosis and mind control that some like Pepper suspect ws used on Sirhan. Among other major treatments expected soon from serious researchers are excerpts from the Tate-Johnson book to be published by the Daily Mail Online in advance of book publication. The main relevations are not to be confused with a preliminary column the Daily Mail published last week, which was merely a timeline of notable events in the case. Other notable books being published this spring include a memoir last month by Robert Kennedy Jr., American Values: Lessons I Learned from My Family (Harper, May 15, 2018, shown at right). His sister Kerry Kennedy also will publish a book this week. It collects their father's insights in Robert F. Kennedy: Ripples of Hope: Kerry Kennedy in Conversation with Heads of State, Business Leaders, Influencers, and Activists about Her Father's Impact on Their Lives (Center Street, June 5, 2018). Indeed, almost every major U.S. outlet can be expected to provide some treatment coinciding with the traditional news-peg of a 50th anniversary of the death on June 5. For discerning members of the public, the big question is whether those treatments will have an investigative component about the justice system or will be purely focused on the life lost and its legacy. There are many more current and relevant angles, as indicated by the material above and below, including RFK Jr.'s bold decision to address Sirhan's continued imprisonment in conditions of near solitary confinement as a metaphor for the larger American justice system. For years, justice seekers have hoped that some member of the Kennedy family beyond RFK and John F. Kennedy Jr. (killed in a plane crash) would dare tackle the mysteries behind the JFK and then RFK assassinations. 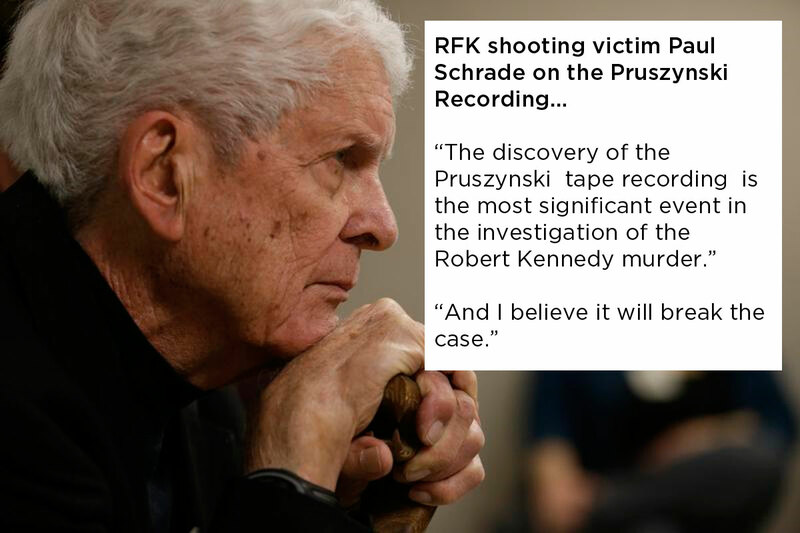 Now, thanks to RFK Jr. and the flack that he and his sister Kathleen are willing to take for daring to speak up -- and decades of pioneering researchers and brave, committed witnesses like Paul Schrade -- the call for a real investigation is growing. Where will it lead? Where do you, as a concerned citizen reading this far, want it to lead? Image caption/credit: Bobby Kennedy Jr. speaking to journalist Charlie Rose onstage, alongside Bobby's youngest sister Rory Kennedy, at the AT&T Performing Arts Center in Dallas, Texas on January 11, 2013 in anticipation of that year's coming 50th anniversary of the assassination of his uncle, U.S. President John F. Kennedy in Dallas (photo by Associated Press/Tony Gutierrez). Quote: Excerpt from Page 271 of RFK Junior's 2016 book, Framed - Why Michael Skakel Spent Over A Decade In Prison For A Murder He Didn't Commit. Washington Post, Retropolis: Who killed Bobby Kennedy? His son RFK Jr. doesn’t believe it was Sirhan Sirhan, Tom Jackman (shown at right), May 26, 2018. Just before Christmas, Robert F. Kennedy Jr. pulled up to the massive Richard J. Donovan Correctional Facility, a California state prison complex in the desert outside San Diego that holds nearly 4,000 inmates. Kennedy was there to visit Sirhan B. Sirhan, the man convicted of killing his father, Sen. Robert F. Kennedy, nearly 50 years ago. “I got to a place where I had to see Sirhan,” Kennedy said. He would not discuss the specifics of their conversation. But when it was over, Kennedy had joined those who believe there was a second gunman, and that it was not Sirhan (shown in a 2016 prison photo) who killed his father, shown at right. Washington Post, Who killed Martin Luther King Jr.? His family believes James Earl Ray was framed, Tom Jackman (shown at right), March 30, 2018. In the five decades since Martin Luther King Jr. was shot dead by an assassin at age 39, his children have worked tirelessly to preserve his legacy, sometimes with sharply different views on how best to do that. But they are unanimous on one key point: James Earl Ray did not kill Martin Luther King. For the King family and others in the civil rights movement, the FBI’s obsession with King in the years leading up to his slaying in Memphis on April 4, 1968 — pervasive surveillance, a malicious disinformation campaign and open denunciations by FBI director J. Edgar Hoover — laid the groundwork for their belief that he was the target of a plot. Until her own death in 2006, Coretta Scott King, who endured the FBI’s campaign to discredit her husband, was open in her belief that a conspiracy led to the assassination. Her family filed a civil suit in 1999 to force more information into the public eye, and a Memphis jury ruled that the local, state and federal governments were liable for King’s death. The full transcript of the trial remains posted on the King Center’s website. Readers Guide To the JFK Assassination: Books, Videos, Archives. American Prospect, The Legacy of Paul Schrade, Harold Meyerson, June 7, 2018. Not just the other guy who was shot in the Ambassador kitchen. Paul Schrade, hit by one of the bullets fired by Senator Robert Kennedy's assailant. Today’s New York Times has a story on the 50th anniversary of Robert Kennedy’s murder, featuring interviews with Kennedy staffers and supporters. But the piece misidentifies Paul Schrade, who was also critically wounded when Kennedy was shot, as “a campaign aide” (in the caption) and doesn’t quite get it right in calling him “a labor organizer who worked on the campaign” in the text of the article. It’s important to get Paul Schrade’s actual identity right, though — because he was a key figure in California and union history during the pivotal decade of the ‘60s. Consortium News, OAS Facing Call for New Probe into RFK Murder, Dr. William Pepper (shown at right) and Andrew Kreig, June 6, 2018. 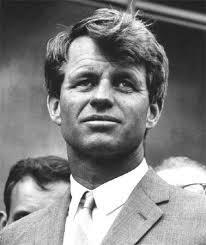 Robert Kennedy was shot on June 5 and died June 6, 1968, fifty years ago today. 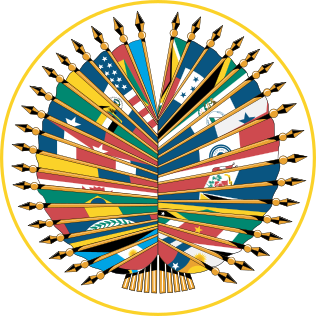 A new examination of evidence is forcing human rights organizations — including the OAS — to consider probing the case. Recent news about Robert F. Kennedy’s fatal shooting sharpens the challenge for human rights organizations in how to address the shocking justice issues raised by the continued imprisonment of RFK’s convicted slayer Sirhan Sirhan. Here is a link to the filing last summer by Sirhan's attorney, Dr. William F. Pepper. Washington Post, The Bobby Kennedy assassination tape: Were 13 shots fired or only 8? Tom Jackman, June 6, 2018. For years after the assassination of Robert F. Kennedy in June 1968, analysis of the case focused on the ballistics evidence and varying witness accounts of what happened in the pantry of the Ambassador Hotel in Los Angeles. But in 2004, delving through the archives of the police case file, CNN senior writer Brad Johnson found a recording that had been ignored for decades. National Enquirer, RFK Junion Confronts Dad's Killer, Sharon Churcher, June 18, 2018 (Print purchase required; sales begin June 6). Face To face after 49 years. Gary Null Show, An investigation into the assassination of Robert Kennedy, the case of Sirhan Sirhan, and CIA's MK Ultra mind control operations. Gary Null interviews Dr. William Pepper and Rick Allen, June 6, 2018. C. Richard "Rick" Allen is the current founding CEO of Snag Films -- and independent film and TV show distributor -- and View Lift, a leading digital marketing platform. He has been a producer for feature documentary films, including "Lost for Life" and "A Fighting Chance" and was the President and CEO for Sporting News, and the President and CEO for National Geographic Ventures. He also served as a Deputy Assistant during Bill Clinton's first term and was the Deputy Director of Clinton's AmeriCorps and Senior programs. A life-long admirer and scholar of Robert F. Kennedy's life, letters and speeches, he is the co-author/editor with the late Pulitzer Prize author Edwin Guthman, who served as RFK's press secretary at the Department of Justice, of the recent "RFK: His Words for Our Times" -- released for the 50th anniversary of Robert Kennedy's assassination. 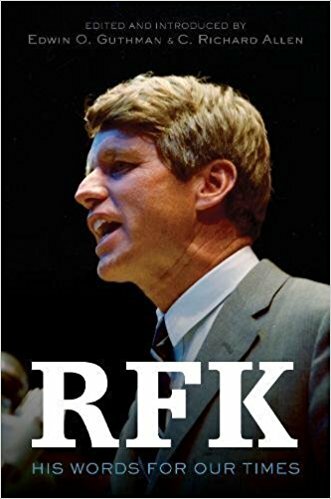 Their earlier "RFK Collected Speeches" has become a standard reference volume for activists and historians for RFK's position on civil rights, social justice, war poverty and creating a culture of peace. 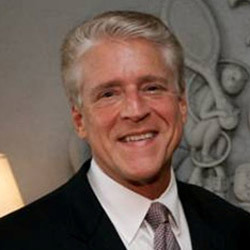 Rick received his law degree from the University of Chicago, and is a graduate of Dartmouth College. His website is RFKSpeeches.com. William (Bill) Pepper, right, is an international civil and human rights attorney based in New York best best known for representing Martin Luther King’s accused assassin, James Earl Ray. In 1967, Dr. King had reached out to Dr. Pepper regarding an essay he had written for Ramparts magazine concerning Vietnamese victims of American napalm missions. 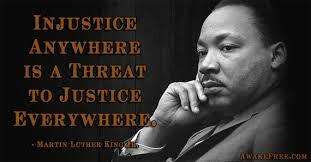 He was present at Dr. King’s famous Riverside Church speech. William was the citizens chairman for Robert Kennedy’s run for the Senate in Westchester Country and also a counsel for Robert Kennedy’s assassin Sirhan Sirhan arguing for a second shooter, a trial he is now trying to reopen in an international court. 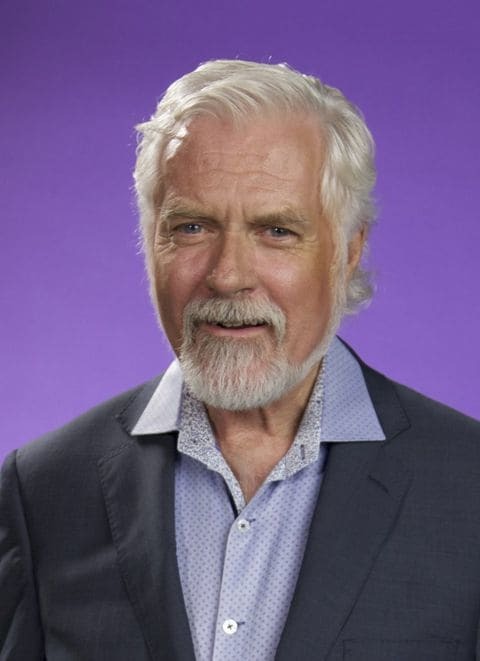 William has received undergraduate and graduate degrees from Columbia, a doctorate in education from the University of Massachusetts, a Juris Doctoral degree from Boston College and also studied at the London School of Ecoomics and Political Science. His most recent book -- The Plot to Kill King: The Truth Behind the Assassination of Martin Luther King Jr published by SkyHorse Publishing -- is the result of 39 years of research and gathering of documentation and sworn testimonies on new confirmed information that will revise the history behind the assassination of Dr. King. WhoWhatWhy, Opinion & Analysis: Was Sirhan Hypnotically Programmed to Assassinate RFK? Shane O’Sullivan, June 5, 2018. Dr. Shane O’Sullivan, shown at right, is the author of the book "Who Killed Bobby?" and the director of the documentary "RFK Must Die." 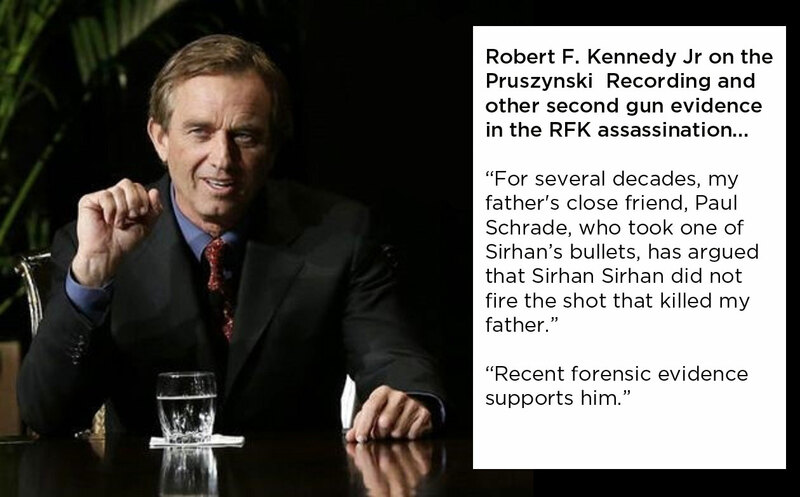 Robert Kennedy Jr. visited Sirhan for three hours last December and, on the basis of new audio evidence of a second shooter, is calling for a new investigation into the case. Over the last 11 years, Sirhan’s attorney Laurie Dusek and Dr. Daniel Brown (shown at left), a leading expert on hypnosis and coercive persuasion at Harvard Medical School, have spent over 150 hours with Sirhan, working pro bono and at great personal cost to recover his memory of the shooting. The WhoWhatWhy piece shows 67 minutes of video footage spiked from a Netflix documentary showing Dr. Dan Brown and Sirhan’s attorney, Laurie Dusek, discussing their groundbreaking work with Sirhan for the first time. WhoWhatWhy, Unique Recollections of the Night RFK Was Gunned Down, Jeff Schechtman, June 5, 2018. Many people doubt the official story of what happened when Robert F. Kennedy was assassinated in the kitchen of Los Angeles’s Ambassador Hotel exactly 50 years ago. Their doubts are fuelled by painstaking research, solid reporting, and even cutting-edge science. But nothing compares to talking with people who were there when Kennedy was struck down. Washington Post, Did L.A. police and prosecutors bungle the Bobby Kennedy assassination probe? Tom Jackman (shown at right), June 5, 2018. For six years after he was shot and wounded while walking behind Robert F. Kennedy in the Ambassador Hotel in June 1968, Paul Schrade mourned the loss of his friend and stayed out of the public eye. But beginning with a news conference in 1974, Schrade has demanded answers to the question of whether a second gunman — and not Sirhan Sirhan — killed Kennedy. It’s not widely known that Sirhan Sirhan’s attorneys did not mount a defense to the charges against him. Instead they resorted to what’s known as an alternative defense called “stipulation to the evidence.” In legal terms this means the defense accepts the testimony and exhibits presented by prosecutor as valid. Therefore, there was no argument in court over the medical, eyewitness or ballistics evidence. What the trial was really about was Sirhan’s mental state. Since his legal team thought he was guilty, they tried to avoid capital punishment by arguing he was mentally unbalanced at the time. This failed, and Sirhan only escaped electrocution because California later outlawed the death penalty. Noguchi should have been Sirhan’s star witness, and Cooper should have had him on the stand all day, the authors argue. Noguchi’s 62-page autopsy report proved that all the bullets that hit the senator entered from behind Kennedy. They also entered at extreme upward angles and at close range, i.e. from 1-3 inches. New York Times, A Campaign, a Murder, a Legacy: Robert F. Kennedy’s California Story, Tim Arango, June 5, 2018. Fifty years after his death, friends, aides and journalists recall the senator’s last campaign in California, his assassination in Los Angeles and what came next for the city. The Hill, Robert Kennedy’s fateful day in Los Angeles and the distrust of the liberals, Ronald Goldfarb, June 5, 2018. 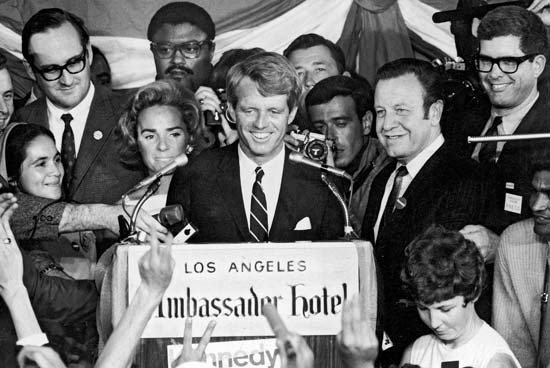 At 12:10 a.m. on June 5, 1968, the ebullient, rockstar-like presidential candidate Robert F. Kennedy, then a U.S. senator from New York, was shot in a crowded kitchen at the Ambassador Hotel in Los Angeles, and died the following morning. He had just finished thanking supporters in the Embassy Ballroom for their work on his Democratic primary fight in California when a turn of events changed American history. When Alabama’s racist governor, George Wallace, campaigned for the presidency in 1968 in 20 northern and rust-belt states, many Wallace supporters — blue-collar and union people — backed RFK until he was killed. One surprised reporter asked some why they switched allegiance from Kennedy to Wallace; their responses were hauntingly similar to what we have heard from Donald Trump. Ronald Goldfarb is a Washington attorney, author and literary agent who worked in the Department of Justice as a special assistant to Robert F. Kennedy in the organized crime and racketeering section and as a speechwriter for Kennedy’s U.S. Senate campaign in New York. He has written 13 books — including "Perfect Villains, Imperfect Heroes: Robert F. Kennedy's War Against Organized Crime" in 1995 — and more than 400 articles (www.RonaldGoldfarb.com). Consortium News, On the Trail of the RFK Murder, Dan Moldea, June 5, 2018. Investigative reporter and author Dan Moldea began 27 years ago believing two gunmen were involved in RFK’s murder but his pursuit of the case led him to a different conclusion, which we republish here in the ongoing debate on the killing. Stone and I had met during the summer of 1985 while I was living in Los Angeles, working on a book. A long-time aide to Allard Lowenstein, the former New York congressman who had been murdered in 1980, Stone had been trying to reopen the investigation of the murder of Sen. Robert F. Kennedy. Because of my background as an organized crime investigator, Stone wanted me to get involved in the case. Of the 187 principal law enforcement officials, detectives and officers identified in LAPD records as having been involved in the 1968 Kennedy crime scene investigation, I was able through my contacts to locate or learn the fate of 158 of them. A total of 114 agreed to be interviewed and speak on the record. Virtually none of these law enforcement professionals had ever been interviewed about the Kennedy case. During our conversations, most of them were honest and unguarded in their responses to two basic questions: “What did you do?” and “What did you see?” Many officers had kept their field officer’s notebooks, and some even referred to their notes during my interviews. I finally began to understand Sirhan’s strategy: As long as people like me continued to put forth supposed new evidence, he still had a chance to experience freedom. And I also understood why he was talking to me in the first place. More than any other person in recent years, I had been keeping this case alive. This article originally appeared in The Washington Post on June 4, 1995 and has been reprinted here with the permission of the author. Learn more in this video interview Moldea gave to the LA NBC affiliate KNBC on June 2, 1995 in which Moldea speaks of Sirhan’s ties to the mob. Dan Moldea is an investigative journalist and the author of nine books, mostly dealing with organized crime as well as one on the RFK assassination, The Killing of Robert F. Kennedy: An Investigation of Motive, Means, and Opportunity (1995). Consortium News, Distorting the Life of Bobby Kennedy, James DiEugenio, June 4, 2018. As the 50th anniversary of his assassination is being remembered on Tuesday, it is vital to have a complete and accurate picture of the complex figure of Robert F. Kennedy, explains James DiEugenio. Washington Post, The assassination of Bobby Kennedy: Was Sirhan Sirhan hypnotized to be the fall guy? Tom Jackman (shown at right), June 4, 2018. Even as Sirhan Sirhan was being captured, seconds after the shooting of Sen. Robert F. Kennedy in Los Angeles, he behaved oddly. A group of men had tackled him, held him down and tried to wrest the gun out of his hands. Associated Press via Boston Globe, Wounded RFK aide from shooting still pushing RFK legacy, Russell Contreras, June 3, 2018. Paul Schrade had an up-close view of the Kennedy dynasty in the 1960s. The union leader got involved in politics during John F. Kennedy’s 1960 presidential campaign, advised Robert F. Kennedy during his own White House run eight years later and introduced the younger Kennedy to California farmworker union leaders who were instrumental in making poverty and labor pillars of his candidacy. Schrade (shown in a photo at right by Interesting Stuff Entertainment, a documentary film company) has relived the moment almost every day of his life. He has dedicated his life to the memory of Kennedy, drawing attention to injustice and forgiving convicted murderer Sirhan Sirhan. Those causes have put him in direct conflict with the Los Angeles Police Department and a certain former real estate developer, Donald Trump. “And I don’t care,” Schrade said. When Kennedy announced he would run for president, Schrade agreed to join his team and advise him on labor issues. The night of the California primary, Schrade almost didn’t go to the Ambassador Hotel until he heard a radio report that Kennedy was trailing. But the senator would win California on the strength of the Mexican-American and black vote. During Kennedy’s victory speech after the California and South Dakota primary wins, Schrade was on the stage a few feet behind him. As Schrade and Kennedy made their way through the hotel kitchen, they were were shot. “I felt like I was electrocuted,” Schrade said. To this day, Schrade believes Los Angeles police botched the case and failed to investigate possible leads about a second gunman. At Schrade’s Los Angeles home, his office and living room are stacked with documents arguing that Sirhan Sirhan wasn’t the lone shooter. Robert F. Kennedy Jr. recently announced he believed the case into his father’s death needed to be reopened. Schrade didn’t stay out of the spotlight for too long. In 2010, a $578 million complex of public schools for thousands of students opened on the site of the Ambassador Hotel after a two-decade fight that Schrade had a role in waging. The battle involved costly legal feuds with conservationists who wanted to save the historic hotel from razing, and with Trump, who wanted to build the world’s tallest skyscraper on the site. The schools today serve predominantly Latino and black students. A “Paul Schrade Library” rests on the spot where the ballroom once stood. The education complex is called Robert F. Kennedy Community Schools. 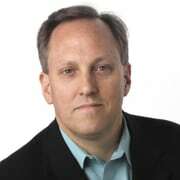 Associated Press writer Russell Contreras is a member of the AP’s race and ethnicity team. Washington Post, Robert F. Kennedy’s final flight: The storied journey of the ride from California to New York, David Margolick, June 3, 2018. Robert F. Kennedy’s body was loaded onto the front of the Air Force jet early in the afternoon of June 6, 1968. His family, holding hands, surrounded the coffin while it was hoisted up. Meanwhile, the various Kennedy friends, relatives and aides who had assembled at Los Angeles International Airport boarded from the stairs at the rear. At one point, D. Paul Sweeney, the Secret Service agent standing by the back door as people filed in, peeked to his right, and spotted something quite extraordinary: Midway down the aisle, America’s three most famous widows were conversing. They spoke only briefly, maybe five or 10 minutes. But they were there, together. Then, for the next 4½ hours, Ethel Kennedy, Jacqueline Kennedy and Coretta Scott King shared a flight over their grieving, wounded, troubled country. Washington Post Sunday Magazine, What is it like to be the brother of Robert Kennedy’s assassin? The life of the other Sirhan, Peter Gilstrap, June 3, 2018 (print edition). On a serene, leafy street in north Pasadena, Calif., a 70-year-old man has lived a quiet life in a well-preserved Craftsman house since his family bought it in 1963. He keeps the lawn mowed. Trims his fruit trees. Chats with the neighbors. Sometimes he smokes Parliament cigarettes with his tea on the front porch, gazing at the San Gabriel Mountains that rise to the north into a sky that’s almost always blue. One spring day 50 years ago, one of his older brothers left this house and eventually drove his pink-and-white ’56 DeSoto to the Ambassador Hotel on Wilshire Boulevard in Los Angeles to shoot Sen. Robert F. Kennedy. At the time, Kennedy was campaigning for the Democratic presidential nomination. To his supporters, he represented a chance to heal the torn and reeling country. 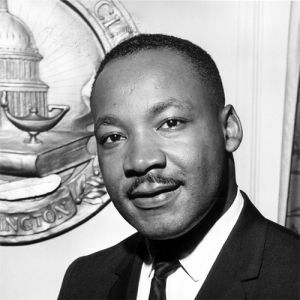 On June 6, 1968, he died of a gunshot wound to the head. Sirhan Sirhan, this man’s brother, was sentenced to the gas chamber for the assassination — a sentence that was commuted to life in prison in 1972. In the intervening years, Munir Sirhan has cared for another brother, Adel, who lived here before dying of cancer in 2001, and looked after his mother, who passed away in 2005, blind and deaf after years of illness. His father and three other siblings have died, too. Munir, three years younger than Sirhan, was the baby of the family. Now he and Sirhan are the only ones left. In 1948, the Sirhans, who were Christian Palestinians, fled their home in the newly divided Jerusalem. The family slipped away during a letup in the fighting of what became known as the Arab-Israeli War of 1948. The Sirhans were granted Jordanian citizenship, but they would come to see America as their future. "There was a program started by Eisenhower and the United Nations to help refugees," says Munir. In 1956 they left with only what they could pack in suitcases. "Sirhan didn't want to come," Munir says. "He ran away. Finally during the morning hours we found him and packed him up real quick." A ship crowded with seasick refugees brought the family to New York City. Their sponsor lived in Pasadena, so the Sirhans took the train to this land of sunshine and roses. “It was a new haven, compared to Jordan,” says Munir. Unz Review, Did Israel Kill the Kennedys? Laurent Guyénot, June 3, 2018. 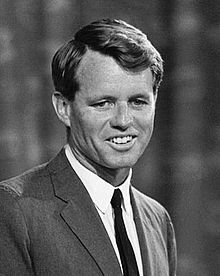 Just after midnight of June 6, 1968, Senator Robert Kennedy was assassinated in a backroom of the Ambassador Hotel in Los Angeles. He had just been celebrating his victory at the California primaries, which made him the most likely Democratic nominee for the presidential election. His popularity was so great that Richard Nixon, on the Republican side, stood little chance. At the age of 43, Robert would have become the youngest American president ever, after being the youngest Attorney General in his brother’s government. His death opened the way for Nixon, who could finally become president eight years after having been defeated by John F. Kennedy in 1960. John had been assassinated four and a half years before Robert. Had he survived, he would certainly have been president until 1968. 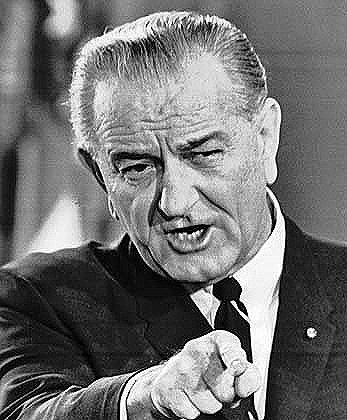 Instead, his vice-president Lyndon Johnson took over the White House in 1963, and became so unpopular that he retired in 1968. Interestingly, Johnson (shown at left) became president the very day of John’s death, and ended his term a few months after Robert’s death. He was in power at the time of both investigations. Daily Mail Online US, 'Is everybody OK? ': Busboy who cradled dying Robert F. Kennedy reveals the senator's last words, and admits he is still shaken by the 1968 shooting, Staff report, June 2, 2018. The busboy who held Robert F. Kennedy after the senator was shot at the Ambassador Hotel in California has been speaking about the senator's final moments in 1968. "I kneeled down to him and I could see his lips moving, so I put my ear next to his lips and I heard him say, 'Is everybody OK?' Juan Romero said recalling his last words, 'Yes, everybody's OK.' I put my hand between the cold concrete and his head just to make him comfortable." Photojournalists managed to captured the horrific moment as Kennedy lay dying while 17-year-old Romero searched for help and tried to make the senator more comfortable. After the event Romero said letters began to flood into the Ambassador Hotel, many of them addressed to 'the busboy' and some of them angry that he hadn't been able to prevent the assassination. Boston Globe, RFK's children divided over calls for a fresh investigation of his assassination, Michael Levenson, May 31, 2018. Two of Robert F. Kennedy’s children are calling for a new investigation into their father’s assassination, opening a rift in the famous family as it prepares to commemorate the 50th anniversary of his death next Wednesday. Kennedy, often known as "RFK," is shown in a file photo. Kathleen Kennedy Townsend (shown at left), the former lieutenant governor of Maryland, told the Globe this week that she supports a new investigation, joining her brother Robert F. Kennedy Jr., who revealed last weekend that he visited convicted assassin Sirhan Sirhan in prison and believes someone else killed RFK. “I think Bobby makes a compelling case,” Townsend wrote in an e-mail. But two other children of Robert F. Kennedy said this week that they would not support a re-investigation, underscoring how divisive the second-gunman theory continues to be, a half-century after the presidential candidate, former attorney general, and senator from New York, was killed in the pantry of the Ambassador Hotel in Los Angeles. “As we approach the 50th anniversary of my father’s passing, I think what is most important is that our country and my family reflect on what my father stood for and fought for — a legacy promoting global peace, social justice, and civil rights,” Joseph P. Kennedy II (shown at right), the former congressman from Massachusetts, said in a statement. Kerry Kennedy, the president of a human rights organization named for her father, also indicated that she opposes a fresh examination of the evidence that, critics say, shows Sirhan could not have acted alone. Boston Globe, Bobby Kennedy’s son thinks he was killed by a second shooter. Is there anything to it? Nik DeCosta-Klipa (shown at right), May 31, 2018. Another alternative Kennedy assassination theory? “But if you assume that the LAPD f—ed up — not crimes of commission, but crimes of omission,” Moldea says, the theory begins to unravel. JFKFacts.org, Who killed Bobby Kennedy? His son RFK Jr. doesn’t believe it was Sirhan Sirhan, Jefferson Morley, May 30, 2018. What is striking about this article is not only RFK Jr’s trip to see Sirhan and his growing suspicions. What is striking is that the Washington Post treats his views with respect. 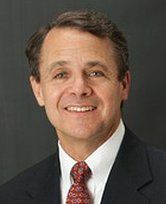 Future of Freedom Foundation, Opinion: A Conspiracy Contradiction at the Washington Times, Jacob G. Hornberger (right), May 30, 2018. Jacob Hornberger, president of a Libertarian think tank, is also an author, attorney and book publisher who has worked on more than a half dozen assassination-related titles. Daily Mail Online US, Why the man who's spent 50 years in jail for killing Bobby Kennedy COULDN'T have done it: Explosive claim comes to light in a new book by two authors who've spend decades investigating the murder, Tim Tate and Brad Johnson, May 25, 2018. In 1968, almost five years after the killing of President John F. Kennedy had stunned America, the hopes of Democrat voters were pinned on his idealistic younger brother. At 42, Robert F. Kennedy was seeking nomination as Democrat presidential candidate. Yet no one realised that history was about to repeat itself in a brutal and shocking way. Radar, Kennedy Family Believes CIA Killed JFK, Robert Jr. Claims In New Tell-All, Melissa Roberto, May 21, 2018. 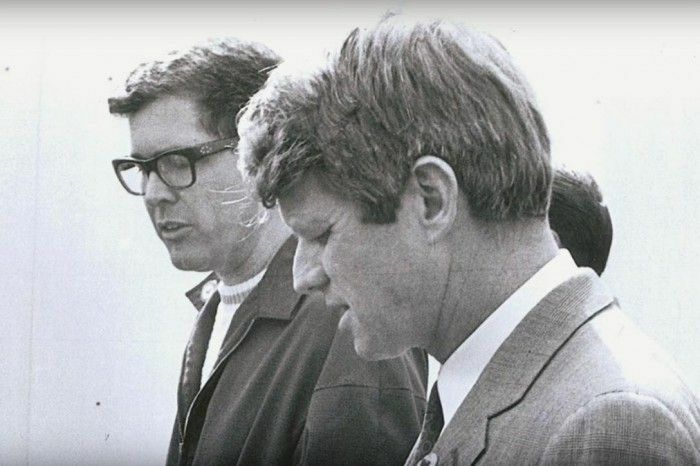 Robert Kennedy ‘immediately suspected’ the government agency, his son says. 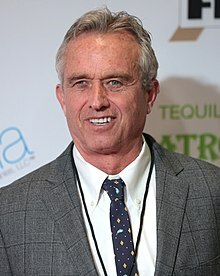 In his new tell-all, Robert F. Kennedy Jr. confessed [sic] that his notorious [sic] political family believed the CIA killed late president John F. Kennedy, RadarOnline.com can exclusively reveal. 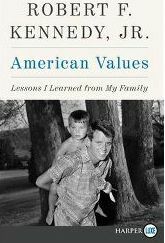 In the candid memoir, American Values: Lessons I learned from My Family, RFK Jr. ripped the lid off of the family’s best kept secrets. He confessed it was his father, Robert F. Kennedy, who doubted the intentions of the government’s intelligence agency. Justice Integrity Project, Historic Conference May 3-4 To Document MLK, RFK Murder Evidence Cover-ups, Andrew Kreig, April 30, 2018. On the unique occasion of the 50th anniversary this spring of the assassinations of Dr. Martin Luther King, Jr., and Sen. Robert F. Kennedy, an unprecedented array of scientific, legal and historical experts will convene at Duquesne University in Pittsburgh from May 3 to 4 to describe the shocking shortcomings by law enforcers and the media in reporting on the deaths. Dyson, Michael Eric. What Truth Sounds Like: Robert F. Kennedy, James Baldwin, and Our Unfinished Conversation About Race in America. St. Martin's, June 5, 2018. Kennedy, Kerry. 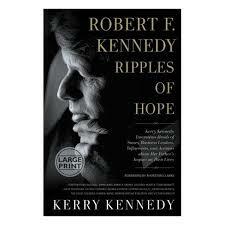 Robert F. Kennedy: Ripples of Hope: Kerry Kennedy in Conversation with Heads of State, Business Leaders, Influencers, and Activists about Her Father's Impact on Their Lives. Center Street, June 5, 2018. Kennedy, Robert F., Jr. American Values: Lessons I Learned from My Family. Harper, May 15, 2018. Klaber, William and Philip H. Melanson. Shadow Play: Robert F. Kennedy, The Trial of Sirhan Sirhan and the Failure of American Justice. St. Martin's Griffin, 2018 (first edition, 1997). Life Magazine Editors. Robert F. Kennedy: An American Legacy, 50 Years Later. Life, May 25, 2018. Matthews, Chris. Bobby Kennedy: A Raging Spirit. Simon & Schuster, 2017. Margolick, David. 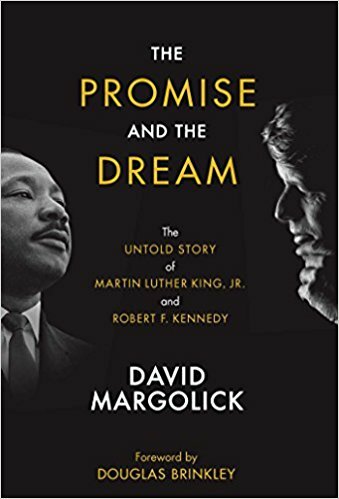 The Promise and the Dream: The Untold Story of Martin Luther King, Jr. and Robert F. Kennedy. Rosetta, April 3, 2018. Meacham, Ellen B. Delta Epiphany: Robert F. Kennedy in Mississippi. University Press of Mississippi, April 2, 2018. O'Donnell, Lawrence. Playing with Fire: The 1968 Election and the Transformation of American Politics. Penguin, 2017. O'Sullivan, Shane. Who Killed Bobby? The Unsolved Murder of Robert F. Kennedy. Skyhorse, 2018 (updated from 2008 edition). Pease, Lisa. 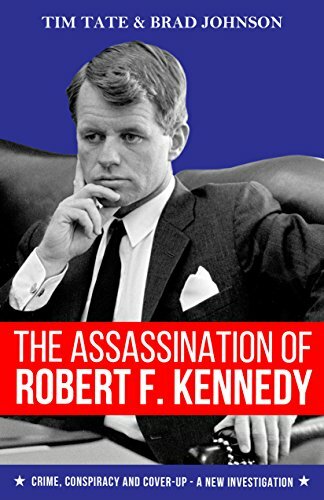 A Lie Too Big to Fail: The Real History of the Assassination of Robert F. Kennedy. Feral House, (forthcoming) Nov. 20, 2018. People Magazine. The Kennedys: Jack & Jackie and Bobby & Ethel. People, May 11, 2018. Rogan, James. On To Chicago: Rediscovering Robert F. Kennedy and the Lost Campaign of 1968. WND, June 5, 2018. Time Magazine Editors. Robert F. Kennedy: His Life and Legacy 50 Years Later. Time, May 11, 2018.